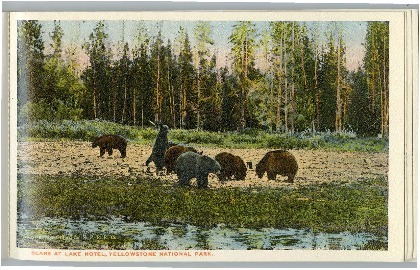 Bears at Lake Hotel postcard, Yellowstone National Park, 1912. Souvenir folder. Copyright by Gifford by N.P.R.R. 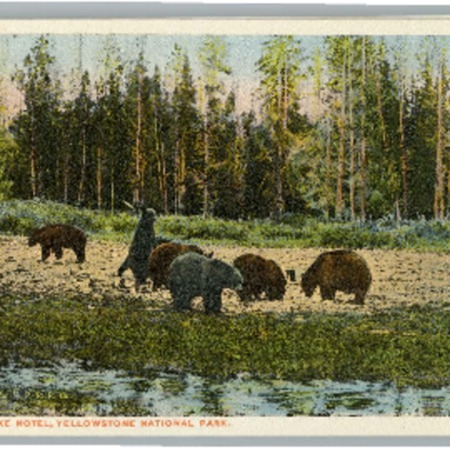 Co.
“Bears at Lake Hotel postcard, Yellowstone National Park, 1912,” Highway 89, accessed April 22, 2019, http://highway89.org/items/show/10232.